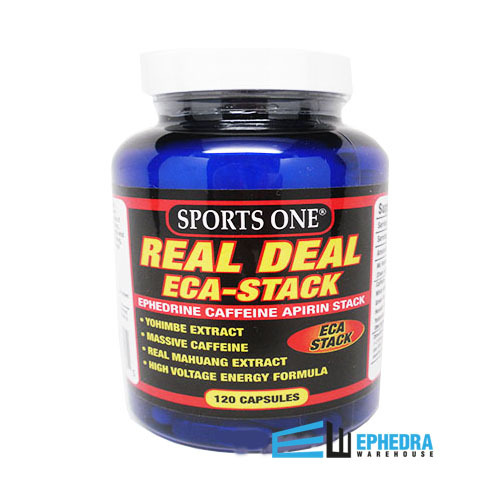 Real Deal ECA Stack Ephedra formulated by Sports One is one of the most powerful Stacks available. 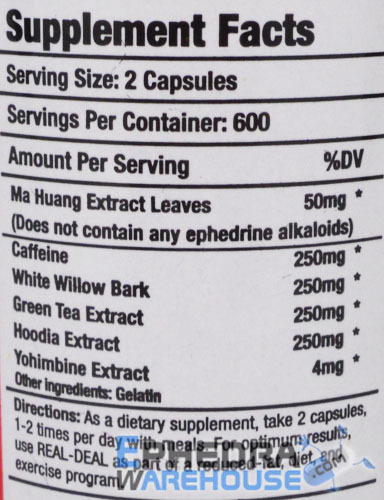 This monster weight loss diet pill contains 50mg ephedra, hoodia, caffeine, white willow bark, green tea, and yohimbine. With the Real Deal, you may experience increased energy, faster metabolism, suppressed appetite, and improved mood*. This fat burner is exactly what the name says - The Real Deal. Check out Real Deal reviews and buy Real Deal for yourself to see results. 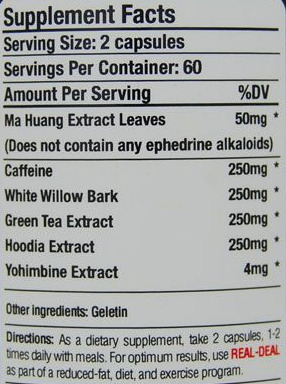 Not very potent for 50 mg. and $40+ bucks.Worked ok. Worked ok.Definitely not worth the price.The Red Volts were cheaper and worked just as well. 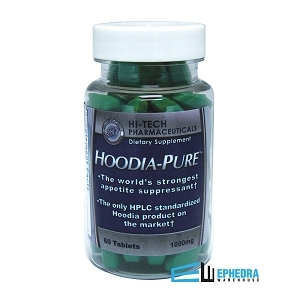 Solid ephederine product! 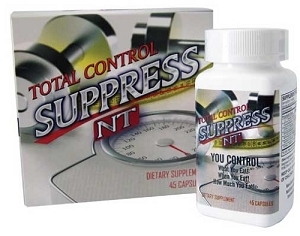 Doesn't have the kick as some other products, but also doesn't give you unwanted jitters or GI issues. Highly recommended!